If you love playing Fortnite, then we have some great news to share with you today! Epic Games has listed the official patch notes for the new v8.30 update which introduces lots of new features and game changing tweaks. Not just that, but the update also comes with a limited time mode called “Fly Explosives” which is really fun to play. 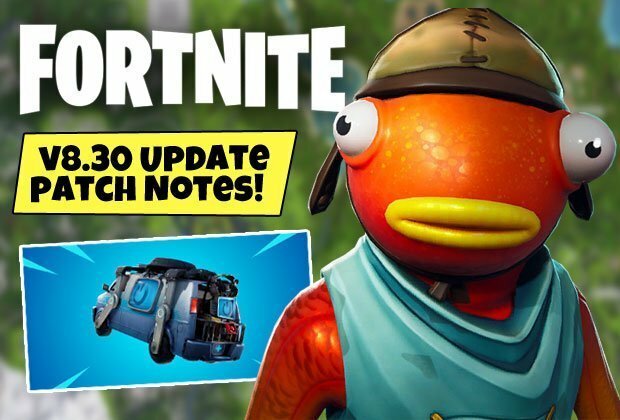 With that being said, let’s take a closer look at the patch notes for the update so that all Fortnite players can get an idea of what’s coming their way. Rebooted squad members return with: 100 Health, 1 Common Pistol, 36 Light Ammo and 100 Wood. Infantry Rifle Damage decreased from 40/42 to 38/40. Fall-off damage at maximum range increased from 26/28 to 32/34. All aspect ratios will have the same vertical FOV on Mac and PC. 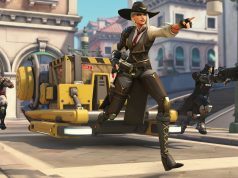 In the near future, ultrawide monitors will be limited to 16:9 in competitive game modes. Hit markers are now server authoritative. We’ve heard the feedback that hit markers are sometimes seen for shots but don’t apply damage, so we’re going to delay showing them until the server has confirmed the hit. Adjusted how Storm damage is applied so that players entering the Storm will have a set amount of time before damage is applied. The initial instance of damage will start 1 second after entering the Storm. Format: April 13 – Round One: All Eligible Players. April 14 – Round Two: Top 3000 Players from Round One.